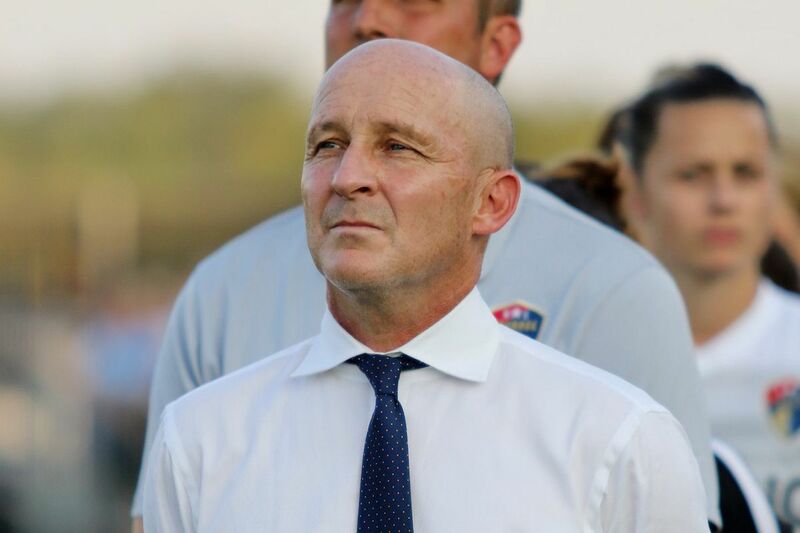 Former Philadelphia Independence head coach Paul Riley has guided the North Carolina Courage to this years National Womens Soccer League championship game. The Courage will play the Portland Thorns for the championship Saturday in Orlando (4:30 p.m., Lifetime). While the names and colors of Riley's teams have changed, his recipe for success has not. Just as he did with the Independence, he has built a winner in North Carolina without superstars from the U.S. national team and worldwide. "There's a lot of similarities between the Philly teams and this team," Riley said. "A lot of good players, a lot of humble players who love to work, and sometimes you get lucky and you get groups that just love to play and go about their business and put everything into it. I got lucky with this one." Back in 2010, Riley took the helm of an expansion team. It was, as he put it, "everybody that wasn't protected [in the expansion draft] and was left out — we were kind of the rejects, you know?" Riley turned that into fuel that fired a remarkable feat. Though his rosters were scarce on big-name talent, the Independence made the WPS final every year of their existence. "Nobody wanted us, and that was really what our forte was," he said. "We were playing against [teams] that somebody got cut from, or wasn't wanted on, and we used that to our advantage." In 2010, the Independence's biggest names were Amy Rodriguez, Heather Mitts, Lori Lindsey and Caroline Seger. They lost to a FC Gold Pride team (based in the Bay Area) that included Shannon Boxx, Marta, Tiffeny Milbrett, Christine Sinclair and Camile Abily. In 2011, Mitts, Lindsey and Seger were gone. Rodriguez and Veronica Boquete led the attack, and Nicole Barnhart backstopped it as goalkeeper. They lost to the first incarnation of the Flash, whose squad had Marta, Sinclair, Seger and a 21-year-old Alex Morgan. WPS went under a few months later, and the NWSL didn't launch until 2013. Riley spent 2012 and 2013 coaching the semi-pro New York Fury on Long Island, the area where the England native first made a name for himself in American soccer. Paul Riley during his days as Philadelphia Independence head coach, with players Verónica Boquete (left) and Nikki Krzysik (right). In 2014, Riley got his ticket back to the big leagues when the Portland Thorns hired him. The Thorns were, as they are now, the NWSL's biggest-spending and most glamorous team. He had Sinclair and Morgan on his team, as well as Tobin Heath and veteran German goalkeeper Nadine Angerer. Portland made the playoffs, but something wasn't quite right. The Thorns lost in the semifinals to eventual champion Kansas City — a team led, coincidentally, by Rodriguez. In 2015, Portland finished sixth and missed the playoffs. Riley was dismissed after the season. When he moved back east to join the Flash, Riley found his old magic again. Although they finished fourth in the standings, they upset the Thorns in Portland in the playoffs with a wild 4-3 win in overtime. Heath, Sinclair, Lindsey Horan, Meghan Klingenberg and Amandine Henry, a big-time French signing, had been done in by … whom, exactly? Midfielder Samantha Mewis had become a regular with the U.S. national team, but she wasn't yet a household name. Flash striker Lynn Williams was the league's top scorer, but she wasn't Morgan or Christen Press. Neither Williams nor centerback Abby Dahlkemper had made her national team debut yet. They went on to win the final, beating a Washington Spirit team with Ali Krieger, Crystal Dunn and Canadian stalwart Diana Matheson. At long last, Riley had built a champion. When the Flash moved to North Carolina, Riley and almost all of those players moved together. Sixteen of the 24 players on last year's Flash roster played for the Courage this year, and they have gotten only better. The Courage won the NWSL regular-season title, then beat Press' Chicago Red Stars in the playoffs to reach the final. Riley's players aren't no-names anymore. Dahlkemper and Williams got their first national team calls after last year's final, and have since become regulars. Dahlkemper starts next to captain Becky Sauerbrunn. Williams has earned third place on the striker depth chart, behind Morgan and Press. Mewis' stock has risen perhaps the most of any national team player this year. She has locked down a starting place, central midfield, with smart passing vision and a searing long-range shot. Right back Taylor Smith is a rising star at her position, and forward Jessica McDonald has gotten a few looks, too. Other players have staked claims for national team consideration, including midfield destroyer McCall Zerboni and rookie forward Ashley Hatch. "When I look at [Independence midfielder Jen] Buczkowski from Philly, I see a lot of Sammy [Mewis] and McCall," Riley said. "When I look at Taylor Smith, I see Leigh Ann Robinson [from the Independence era]. When I see Abby Dahlkemper, I see Nikki Krzysik in her. When I see Lynn Williams, I see Amy Rodriguez in her." Paul Riley at work on the sidelines during Sunday’s playoff semifinal win over the Chicago Red Stars. Now here comes that familiar foe from Cascadia. Portland still has Heath, Sinclair, Horan, Klingenberg and Henry, who will be playing her last game as a Thorn before returning to the French league. They and their voracious fans are determined to avenge last year's loss and claim the team's first championship since the NWSL's inaugural season. So it was no surprise that Riley was up to his old tricks again this week. Even with the NWSL's best record, he's still trying to make his team the underdog. "It's the culture in our locker room," he said. "It doesn't matter what I say in the press, what I say to anybody. At the end of the day, the players believe we're the underdog. … When we get in that locker room, if we don't work and do everything that we have to, then we won't win the game, and I think everyone knows that. If that's an underdog mentality, then that's what it is. Maybe it's the mentality, not the actual thing." Was that last turn of phrase a hint at the truth? Deep down, Riley knows how good his team really is. Everyone outside his locker room will find out Saturday.